When you first open Mercurius, it won’t take long before you realize that this is an astrology program like no other. It has a clean, intuitive interface, but it is likely to take you a very long time to realize just how powerful Mercurius really is. Although the default settings are for the William Lilly purist, it’s the only fully customizable Traditional astrology software available. Leave the settings as they are and you can be sure all is true to the methods of the English master. It would be impossible to cite all the features here, but there are some that truly stand out. For example, this is the only astrology program that calculates Accidental as well as Essential dignities. Neither Solar Fire, Janus nor Morinus include this function. Yet as Traditional astrologers will tell you, the Accidental Dignities are needed in addition to the Essential Dignities to calculate the Lord or Lady of the Geniture A graph showing both Essential and Accidental Dignities are shown on the right of the screen. Brilliant ! It also includes flags for Peregrine, Under the Beams, Hayze, Oriental, Occidental and more within the Dignities report. I very much like the Fixed Star functionailty. In other program I’ve used, you can only choose one orb for all stars, if at all. Usually it’s one degree. But the Traditional writers tell us that stars such as Regulus and Algol, require much larger orbs. Mercurius is the only program that calculates and displays the Planetary Parts according to Al Biruni. Antiscia can be calculated and displayed on the wheel also. It calculates humours according to Lilly, This is also customizable. In short, it does everything that the traditional astrologer requires. At €500 it’s not cheap; but once you purchase, you will never have to pay for upgrades … ever ! Particularly if you’re a devotee of William Lilly, you won’t need another astrology program. You’ll need a fast computer with four gigs of ram or more for optimal results. However, I’ve run it with only two gigs and it was fully functional. Visit Mercurius Homepage @ Mercurius Astrological Software:. A study of the Western astronomical tradition from ancient Babylonia to the European Renaissance, with emphasis on the Greek period. 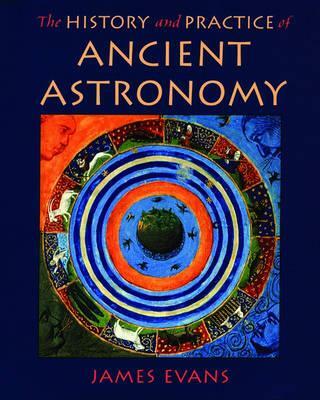 The book explores the evidence for the astronomy of the ancient past and how astronomy was practised. Emphasis is placed on the material culture of ancient astronomy. Astrology is astronomy interpreted to do everything from marking the Solstice and Equinox points, predicting eclipses, timing the seeding or harvesting of crops. It can tell us when is the best time to sail. It’s used to determine the nature of illness while suggesting a cure. These are but a few applications,. The fact tha the majority of western modernity has forgotten this, makes it no less true. Astronomy is a very complex science, and yet it was being used extensively in ancient Babylon. Evans is not an astrologer and might be astonished to see an astrological review of his book. The fact is, this book explains pretty much anything you would ever want to know about Ancient Astronomy. 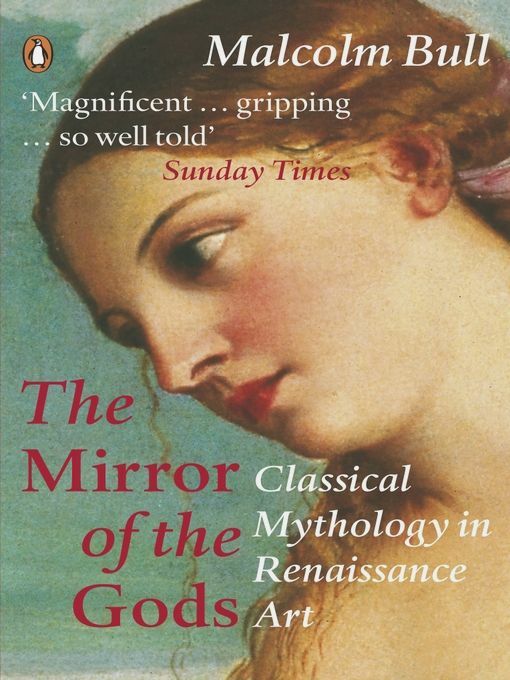 For those of us with a Uranian muse, this book explains in considerable detail how the ancients read and interpreted celestial phonomena. It’s well illustrated throought with both modern and ancient tables and images. Zoller has been a great pioneer in the furtherment of Traditional Astrology and this book is something of a monument to that. The section of the Metaphysical Basis of the Parts is utterly brilliant. Zoller’s erudition is extraordinary and even more so in the astrological community and at the time of publication. The book still has much to be admired. First of all, Zoller offers a fairly substantial translation of Bonatti on the Parts. That work has been translated by others in recent years and perhaps more accurately, but for nigh on 30 years, it was the only one available to the best of my knowledge. It is very well illustrated with carefully selected black and white charts, symbols and diagrams. I think any Traditional astrologer could benefit from reading this book, with the strong caveat that not even Zoller would approve of all of it. It’s no accident that the greatest astronomers and astrologers throughout history have been highly intelligent, well-educated and aware not only of their own cultures but of others as well. This is not only true of the European Greco-Roman tradition, but also of northern European people such as the Druids. The latter was the learned class among the ancient Britons. They served many functions, among them priests, teachers, judges, seers, doctors, and philosophers, and were highly respected by many in the ancient world. Some writers have pointed out the strong similarities of the Druids to the early Brahmans. They also practised divination, subscribing to the doctrine of reincarnation. Throughout our history, it has been generally those with a broad base of knowledge who were expected to practice divination. Until the 18th Century, physicians were astrologers and astrologers were physicians and astronomers. The Mundane Astrologer without a very good sense of history and philosophy is next to worthless. Unless we have reference points for the unfolding of the ages, our understanding of the cycles of heaven will be without much form, colour or context. This book by Malcolm Bull provides an enormous amount of all three., in a very engaging, sometimes playful writing style. Most specifically he is concerned with the reception of pagan culture in the European Renaissance. A great deal of this cultural transmission resulted in art. This art often represented the planets as Classical gods: various Luna deities, Mercury, Venus, Apollo, Mars, Jupiter, and Saturn are all reconsidered. In the process, these archetypes take on deeper and more nuanced meanings. We learn that *portraits* of Jesus were taken from the Classical images of Zeus or Jupiter. That doesn’t merely tell us that the artist or patron admired images of Jupiter, but that they also associated Christ with the attributions of Jupiter. God gets to be jovial once again. This work is broken down into nine chapters, each one is lavishly illustrated and a joy to read. 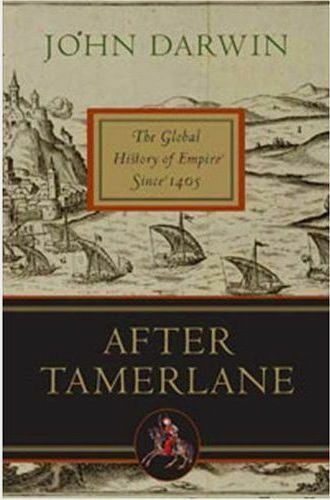 Considered as the last “world conqueror,” the death of Tamerlane signaled a new epoch in world history. What would follow is the great dynastic empires of the Chinese, Persian, Mughal and Ottoman. Darwin tells this sweeping story spanning some eight centuries. The palette is truly enormous and would seem impossible to fill, but the writer does so with erudition and elegance. This is the kind of book that one could well read all at once, albeit over a few days, but you will probably want to keep it around as a remarkable reference tool. Books like this are exceedingly rare. One is given a remarkable amount of detail sweeping a staggering time frame. It never feels even remotely rushed. From the point of view of the Mundane Astrologer this is a rich source. We can ask what were the astrological conditions of the rise and fall of the Mongols? Can we find repeating patterns? Some might want to look at the great ages and ask what is specifically Piscean about India under the Mughals or the same country as part of the British Empire? Why did the Japanese invade Manchuria at that particular time from an astrological point of view? Again, what is particularly Piscean about the Spanish conquest of central and South America and what is now Mexico? Darwin is one of Britain’s leading scholars of global history. He lectures at Nuffield College. Oxford. He akso wrote two books on decolonization and the end of the British Empire. I recommend this work without any reservation. Over the last four decades westerners have begun to study Traditional Chinese Medicine, Ayurvedic and even Tibetan Medicine, to mention but a few. Most westerners unaware that they have thier own forms of Traditional Medicine. The roots are many, but core to this system is the knowledge of humours, temperaments. One of the great masters of western traditional medicine was Nicholas Culpeper. Born in 1616, he was an English botanist, herbalist, physician and of course an astrologer. His published books include The English Physician (1652) and the Complete Herbal (1653), Astrological Judgement of Diseases from the Decumbiture of the Sick (1655), among the greatest detailed document we have on the practice of medical astrology. Even if you have his published works, Culpeper’s Medicine will be a welcome addition. Tobyn presents the system as a whole in clear terms, without sacrificing authenticity and provides a very good biography of Culpeper. The humours and temperaments, for example are first explained in detail and then more than adequate tables and illustrations. The relationship of astrology to various diseases is also very well done and true to Culpeper. You could well use this as both an aid to medical astrology as well as a decent text for treating several ailments. There are some very fine plates of various herbs, but by no means much more than samples. I wonder how often so much wisdom has ever been written on so few pages. Otherwise known as Abu’-Rayan Muhammad Ibn Ahmad, the author has left us a work of extraordinary value. It was written in Ghaznah in 1029 A.D. This edition comprises the astrological part of the original treatise on the sciences(sections 347-530) has been taken from Wright’s 1934 translation taken from Persian and Arabic sources. Among its greatest achievements is a comprehensive list of more than 150 Lots, forms of aspects and planetary relationships, planetary positions relative to the sun, an excellent text on rulerships as well as comprehensive notes on weather and meteorological phenomena. 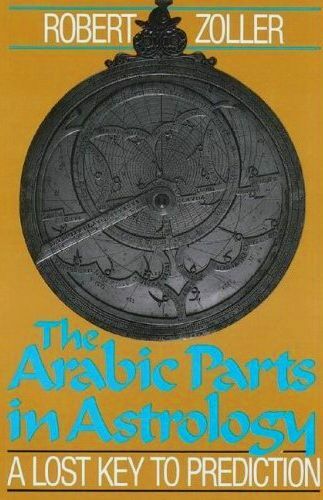 Al Biruni explains concepts such as Hayz, Orbs and Years of the planets, retrograde course, combustion and much more. He mentions something called “opening the doors” which refers to two planets of opposite nature cojoining as one among many means of predicting the exact nature of the weather. There is a very fine section on all kinds of weather predictions. He discusses Terms in some detail. He describes three kinds: Egyptian, Ptolemaic and Hindu Term Lords. Interestingly, he differs with Firmicus on the Egyptian Terms and with Lilly on the Ptolemaic Terms. His book is said to have been unknown to medieval European astrologers. This edition comprises the astrological part of the original treatise on the sciences(sections 347-530) has been taken from Wright’s 1934 translation taken from Persian and Arabic sources. If the student could master the entire contents of this book, he would be a great astrologer. Benson Bobrick is an acclaimed historian, academic and writer. He is not an astrologer. However, his knowledge of the history and meaning of astrology is far beyond that of most contemporary astrologers. Moro ever he seems keenly aware of the difference between the new age slop that passes for astrology and distinguishes it clearly from the real thing. I’m not sure that he means to do that exactly, but his knowledge of the practice and history of the art leads him that inevitable conclusion. 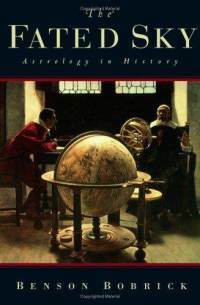 Bobrick might have named his book “The History of Astrology” but would have missed core premise. Astrology has to a very large extent been at the centre of our development at every step. For example, he contends that Raphael, Botticelli, Da Vinci et al would be virtually impossible to interpret if it were not for the *code* we find is astrology.